An exciting water-filled adventure awaits with the POLAR PLUNGE! This fun-packed dual lane water slide offers two lanes that allows patrons to zoom down and around a curve! 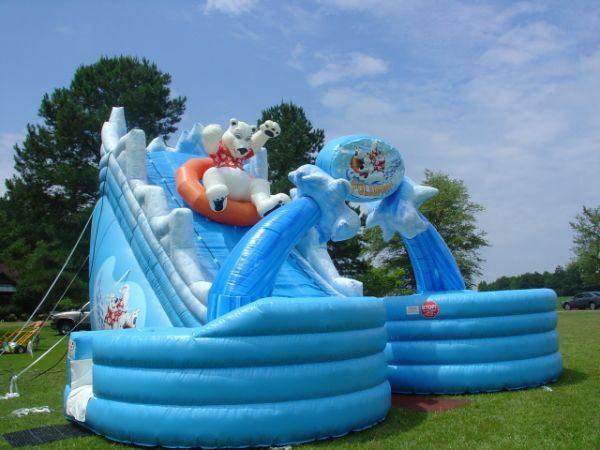 The polar bear would watch, but he's having too much fun sliding himself!